Our primary pet care services are pet sitting and dog walking. The following information is a summary of our services. 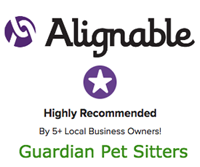 Contact us for more details, and to talk about how we can help you and your pet(s). We always fit our visits to your needs. After each visit we leave a detailed log of our activities! Need a service you don’t see here? Wondering what else we do? Call us! We are happy to help in any way we can. Outside of our vacation and visit services we offer these additional pet services to make your life a little easier. No pets? We also offer services for your home. Find out more!